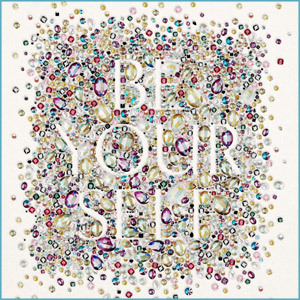 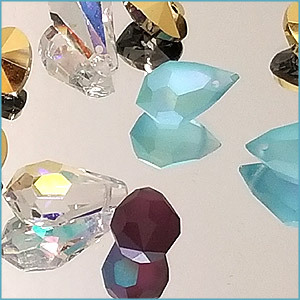 Browse our collection of Swarovski Elements crystal components and Preciosa crystal stones, beads and pendants to spark creative inspiration. 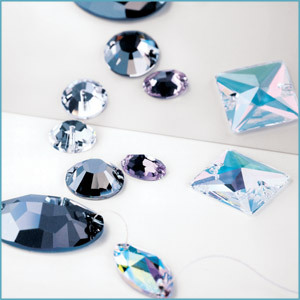 Choose from a full range of sizes spanning the spectrum of colours and shapes including bicones, ovals, rounds, other geometrics and pendants. 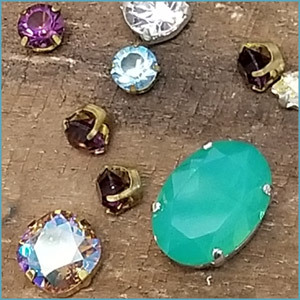 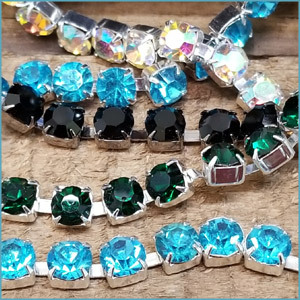 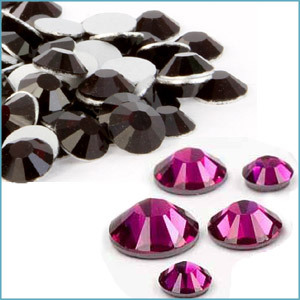 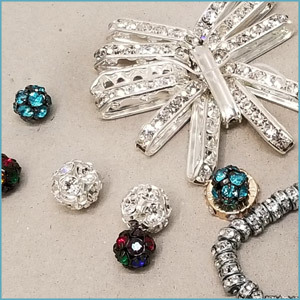 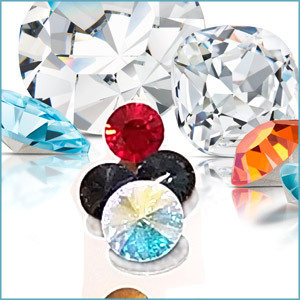 Our complete range of fancy stones, flat backs both in hot fix and non-hotfix, as well as crystal buttons, pearls, mounted jewels (stones in settings) and rhinestone chain can enhance any creation. 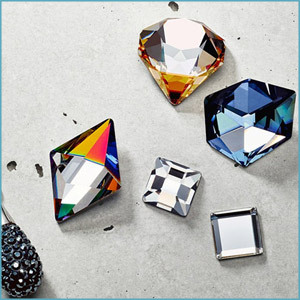 Austrian crystal elements are precision cut and faceted for unsurpassed beauty that radiate sparkle and shine of the highest quality. 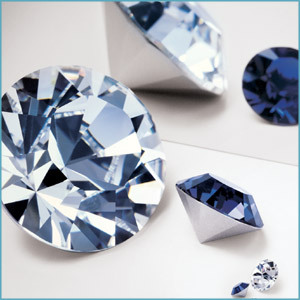 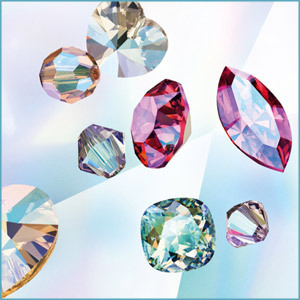 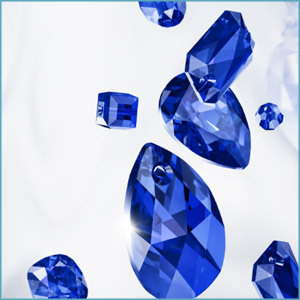 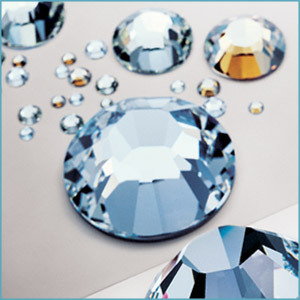 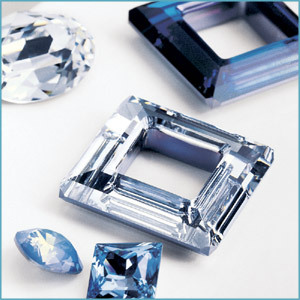 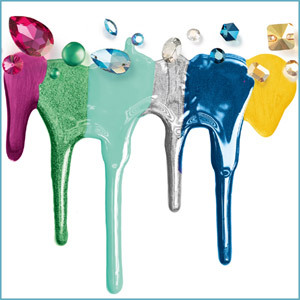 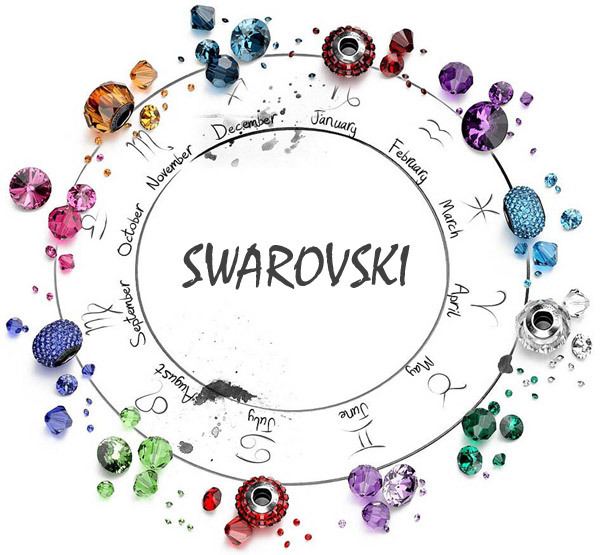 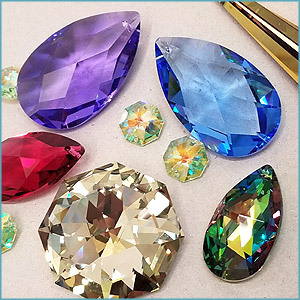 We are proud to have been an authorized wholesaler of Swarovski Elements since 1942 and carry an extensive selection of genuine Swarovski crystal components. 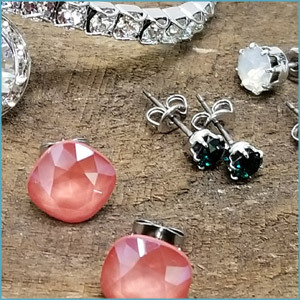 Check in here and check in often for current information on new innovations from our crystal components and bead collection. 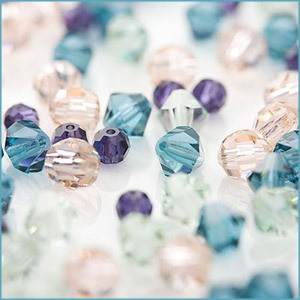 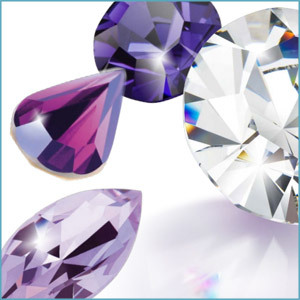 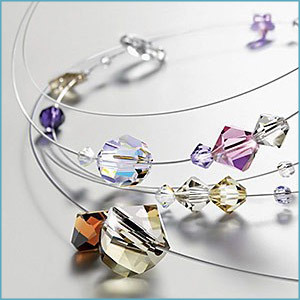 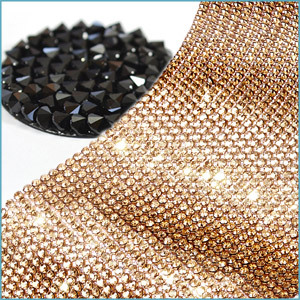 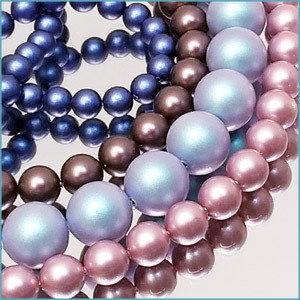 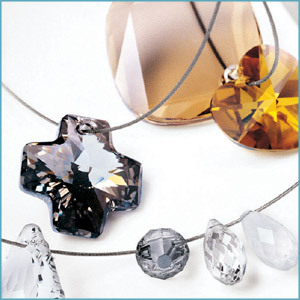 Learn about Swarovski Elements innovations in bead shapes, sizes, and colours for inspiration to enhance your next crystal creation.